New! 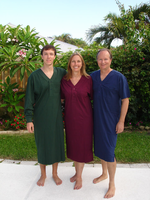 Organic 100% Cotton Nightshirt in 34 inch length, Natural color. 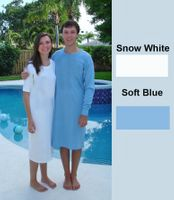 No bleaches or dyes were used in the production of this nightshirt. 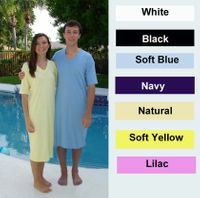 This Organic sleepshirt features a roomy 24 inch width, no side seams, side slits for mobility, and no pockets. We offer pocket material for those that need a pocket, no charge (just put that in the comments with your order). Quality made in the USA. Machine wash and dry. 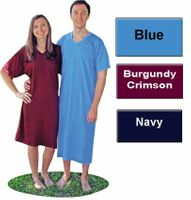 • One Size: Fits Ladies: 140-180 lbs. or Men: 150-200 lbs. • U.S. Organic Standards require a 3 year chemical free farming period before being allowed to be "certified organic".